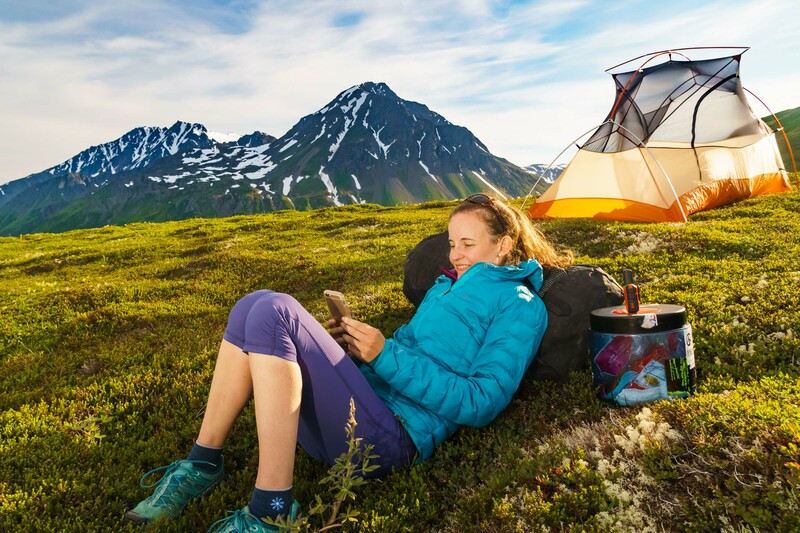 Image of woman relaxing at camp along Lost Lake Trail on Kenai Peninsula, Alaska. Photo © Michael DeYoung - a Taos, New Mexico and Anchorage, Alaska based adventure travel and outdoor active lifestyle photographer. If it's outside, we're in!